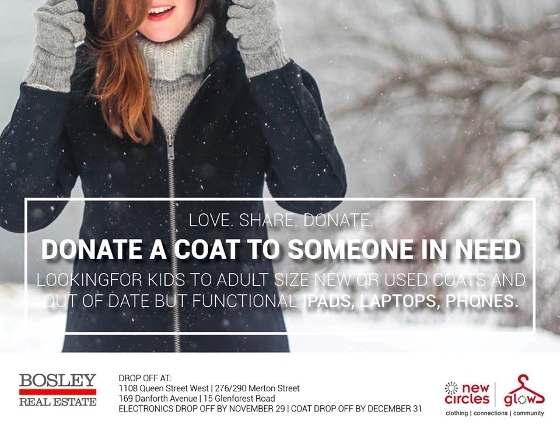 Bosley Real Estate is looking to recieve gently used coats, hats, mittens etc. Thousands of refugees and newcomers arriving in Toronto this year will not have adequate clothing for the coming season. This clothing drive will hope to help roughly 8,000 people meet their need for warm winter clothing. If you have anything, particularily boys items, let me know and I can swing by and grab whatever you can spare. Thanks in advance for your generosity!!!! !